We offer a free no obligation quote, with highly competitive rates. We will talk you through the removal process offering friendly advice about your move, you will then receive a written quotation. Pack your own belongings or choose our professional packing team to pack for you. We supply high-quality packing materials and heavy-duty boxes to keep things safe during your move. For your added peace of mind, we are fully insured for goods in transit and public/employee liability. 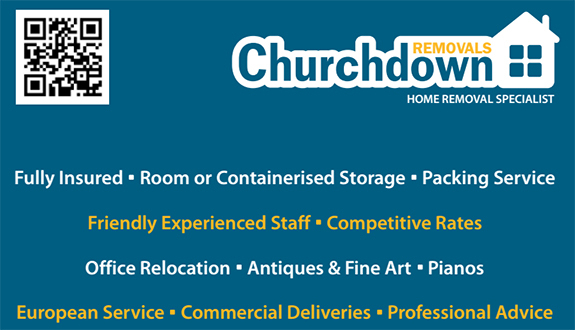 If you need to store all of your belongings or just a few items, we have a secure and dehumidified storage facility close to Churchdown, offering very competitive storage rates. Established in 2002, we are a local home removal company offering a professional service, with friendly and trustworthy staff. So, if you are buying and selling, renting or just moving a few items we can help.